American soldier (1839–1925) who is the only man to serve as an officer in the Civil War, Indian Wars, and Spanish-American War. Ink signature, “Nelson A. 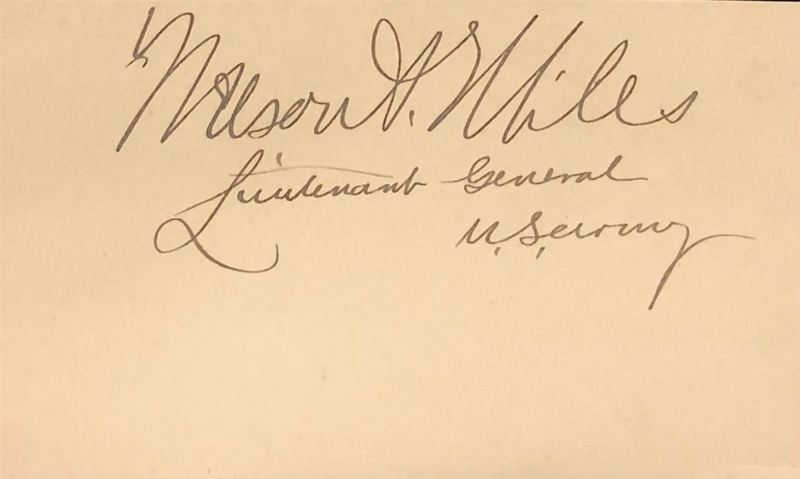 Miles, Lieutenant General, U. S. Army,” on an off-white card.